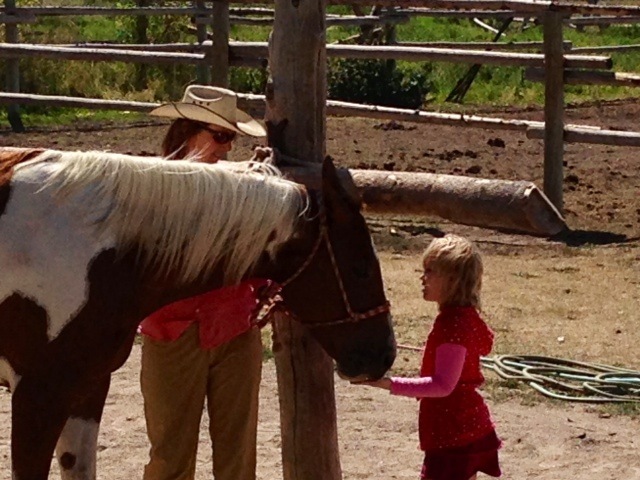 Linn Canyon Ranch’s insurance states that all riders must be 8 years old or above to participate in our trail rides or pack trips. This does not pertain to “pony rides” on the flats of the ranch (those conducted by a wrangler who leads the child’s horse around from the ground). The exception to this age limitation rule is if the child successfully completes our ‘Certificate of Competency’ requirement. 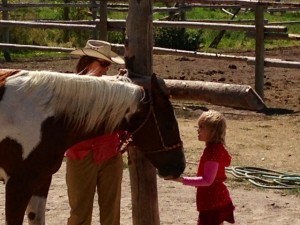 By participating in a 9-hour ‘Fun on the Ranch Morning Sessions” Package or our 7-hour ‘Custom Private Workshop’, your child earns the certificate and most importantly the knowledge to be safe in the mountains on horseback. Under-aged children that have already earned this certificate will need to either bring their award sheet on the day of their ride or alert the office ahead of time to pull up their record so the child may then join the family on the trail.